Think about Blockchain as another kind of database. Namely, blockchain is a distributed database that requires an “innovative” way of interacting with it. A blockchain database can be viewed as a single “record book” that is shared by many individuals or entities. The very specific way the interactions are conducted and recorded is the added value by blockchain technology. So then…what is a “record book”? Instead of a single record book in just one location, or even one single entity managing the record book, think about a single record book shared by many: thousands of copies of the record book are stored on computers all around the world, known as nodes. What do “blocks” stand for in “blockchain”? Lets think of blocks as a line item in that shared record book. Each addition to this record book is simply a new line item; a new block. That is how the “block-chain” is created with every new addition. Every new line item involves any type of information (including record, cryptocurrency, value, contract, data, etc). A transaction is requested every time a new line item wants to be created. This potentially new line item gets sent off to the thousands of copies of the record. Those nodes around the world confirm that this transaction is valid/authorised, and ultimately they agree (or disagree) that everything about the transaction is legitimate before giving that line item a tick of approval, thus validating it. How is every new transaction recorded? Once verified, every transaction is combined with other transactions to create a new “block” or line. The transactions must match up perfectly on every copy. The new block is then put in the existing blockchain on every “copy” in a way that is permanent, traceable and unalterable. Blockchains have received much media attention as it is the same technology that underpins digital currencies (such as bitcoin, Ethereum etc). The important aspect is that this technology ensures all transactions are properly conducted and recorded. Information stored on the blockchain does not need to be any type of monetary units, in fact, it can collect other interesting attributes (data, information). Some current applications include cloud storage, digital entity, voting, certificates of any other “contract” in which full transparency is chased. 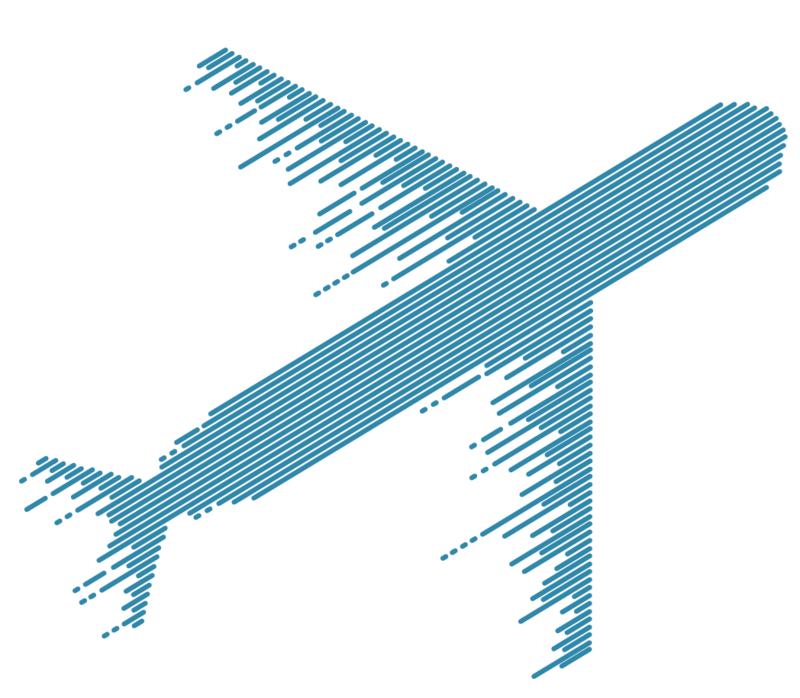 There are some incipient aviation applications definitely worth a more advanced post! Where can I find a simple, hands-on visual example? Look at the paradigm 1.0 below: every single PC with its local files (docx, xls etc). Those files could be updated locally and even shared with other PCs (via mail, USB etc). There is no control at all of the status of external files and it is not easy to know what is the latest version. 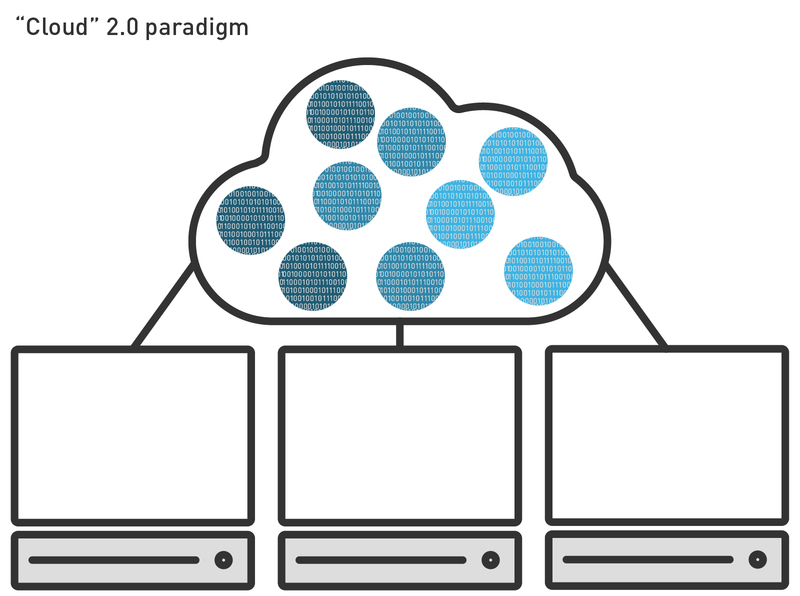 Look now at the “cloud” 2.0 paradigm: all computers accessing that cloud (e.g. Google Docs / Dropbox). You can easily access the latest versions, collaboratively edit files etc. However, it is fully dependent on the specific third party (cloud infrastructure provider) and its pitfalls, at technical, regulatory and commercial interest levels: potentially biased? cost? security?